There will come a time that you need to give a special gift for your mother in any occasion like birthday or mother’s day but you cannot think of any. 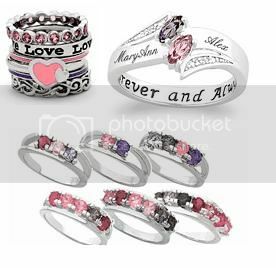 But no worries because I found out that there has a ring called mothers rings where each birthstone in the family can be stackable in the ring and best of all it can also customize with a simple quote or message of your love to her. This traditional ring is really a meaningful gift that you can give to your mom.